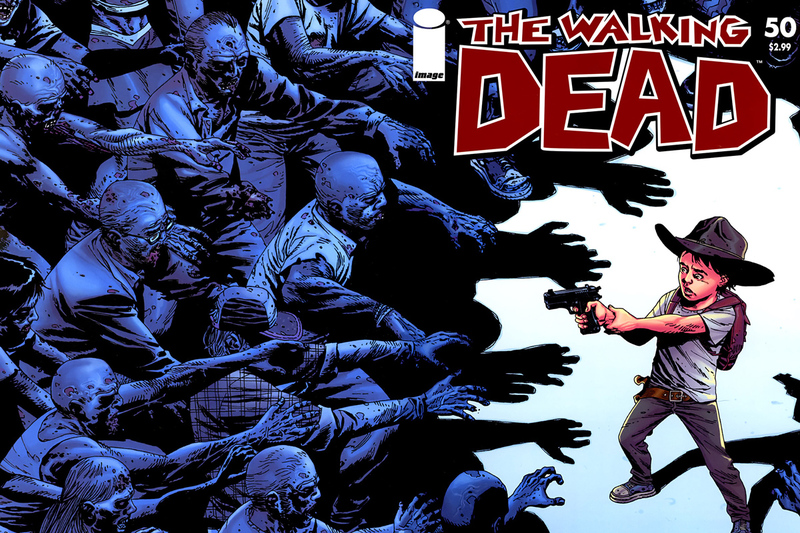 Before it was a TV show and video game, The Walking Dead was a comic book from publisher Image Comics. It's a great series and if you're interested in catching up on the source material for the TV show, you might be in luck. The public library app, Hoopla announced today that it was partnering with Image Comics to bring The Walking Dead, Spawn and Saga to its service. Hoopla partners with local libraries to give library card holders the ability to check out digital copies of books, music, videos, audiobooks and comics. the amount of titles available for check during the month depends on the deal between Hoopla and the library. But when your check out period is up, the title automatically disappears from your iOS, Android device or Kindle tablet. It recently added a bunch of DC titles including a whole slew of Dark Knight graphic novels to its roster. So if you're library supports Hoopla and you want to supplement your watching of Fear the Walking Dead you can do so with spending any money.